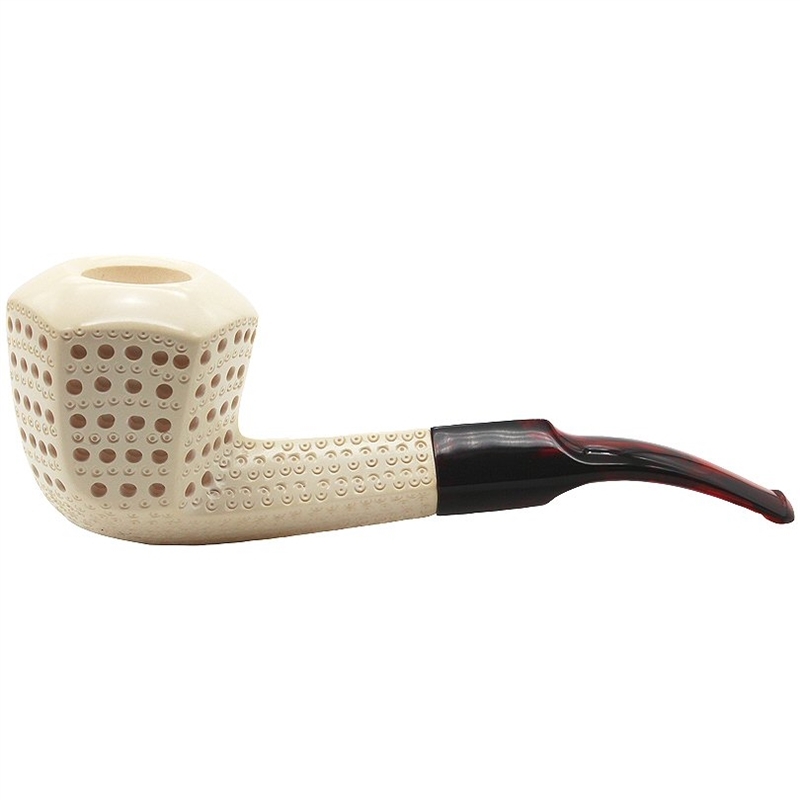 Special Hand Carved Emin Lattice Panel Meerschaum Pipe - Beautifully carved pipe by Emin features round lattice carving in perfect alignment on panels that make up the thick walled deep pipe bowl. The top of the bowl is rounded and smooth. Light lattice carving decorates the diamond shank that connects to a dark translucent diamond shaped bent saddle stem. 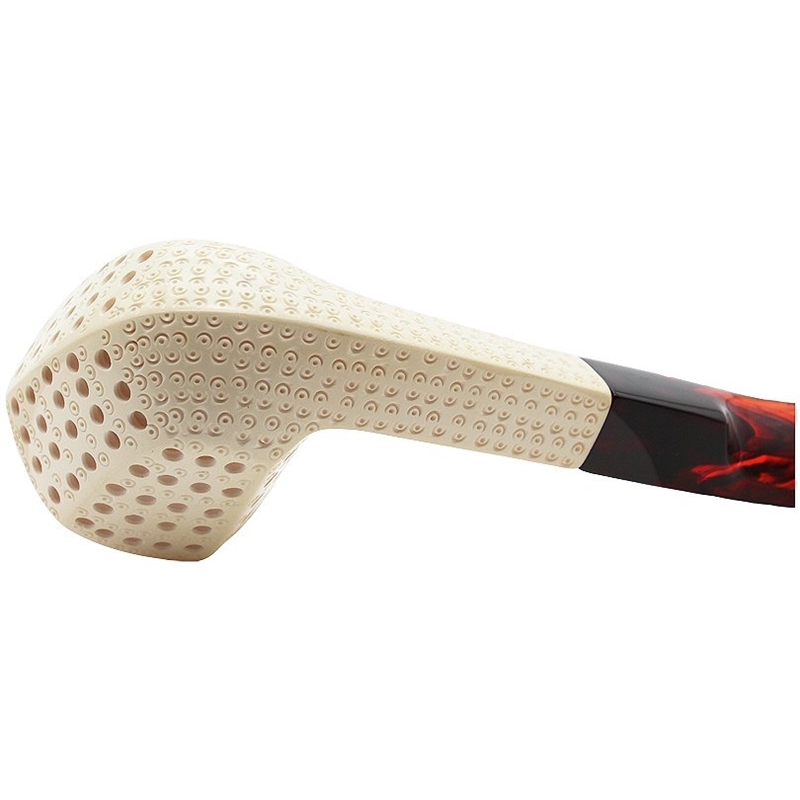 The special wax finish gives a creamy antiqued look. This is an older pipe from our collection and is a fine work of art.